Was what Joanna says to her assistant Sophie when she pathetically tells her she bought her a macaroon for lunch. The One With the ‘Cuffs. Season 4 episode 3 of Friends. Who can resist a bit of nostalgia in the Easter holidays eh? Nevertheless, the feeling of cringing and chuckling at the same time has left me perplexed. TV sure has evolved for the better since I was in year 11. How many Sophie’s have we come across at work? I mean, could this be a more appropriate topic of discussion? Ok. Ok. I’ll stop now. In schools, we have Sophie’s and a whole myriad of others, some to avoid and others to embrace. For ease of explanation these have been broken down into types of people, when in actuality they are types of personality traits, i.e. a single person may possess many of them in varying degrees, but some lots more than others; it’s a sliding scale. Lest it goes on forever, this blog will focus on three key traits. One would think that as a nation of moaners there would be a UK version of the above! But as I couldn’t find one, we’ll have to stick to the US one for now. For some teachers, negativity is an art form. The precision and skills required have been honed and perfected to rob their listeners of every ounce of enthusiasm, of every Joule of energy (couldn’t resist a science reference) and of every bit of I am in a job that matters they could ever have. Every time you have an idea, they will give you ten thousand reasons why it’s not possible, and if ever you have a teaching ‘wow’ moment, be sure that they don’t want to hear about it. It’s as if their negativity frightens your positivity so you keep your mouth shut just to avoid conflict. Avoid the Negative Nancy’s as much as possible. Your natural instinct may be to do so but when you’re stressed, some of what they say has a tendency to make sense and it is easy to get lured in. Maintain perspective, and also, remember that not everyone who challenges school leaders is a Negative Nancy. Some school leaders use this as a stick to beat their staff with whilst trying to (lamely, in my opinion) earn the favour of other ‘more obedient’ staff. In other words, they will argue that the reason you’re refusing to do intervention before school, lunch-time, after school, on Saturdays and in the holidays is because you’re too negative. While the parameters for a Negative Nancy can be difficult to define, in general you know one when you see one and a good litmus test is to observe how much of that negativity is directed towards kids and teaching them. I’m sure you can infer a Negative Nancy from their response to that one! Triple-marking? No way! That only takes 4 hours per set, and all schools do that! We should do quadruple marking so that we can be sure that pupils are making progress. It’s what’s best for the kids. Any teacher who is hyper-positive about bureaucratic tasks is a professional liar. They put on this front because they have decided that they want to be promoted to x by year y of their career and they will stop at nothing to accomplish this. Just like sociopaths, they are indifferent to the emotions of the people they trample on and in fact will often see this a necessary requisite to getting ahead (my book discusses ‘Snoopers’ – people who check your books without your knowledge and dob you in if you’re behind on marking in order to make themselves look good). They are seemingly harmless, mostly friendly, but always professional and therefore difficult to spot. Often they have ‘robotic’ relationships with pupils who often dislike them but cannot pinpoint why. (Perhaps it’s because they have an intuition about their insincerity. A study showed that very young children were very good at identifying fake smiles). A good litmus test for these types is that they will never moan or complain. If you do spot a workplace sociopath, the golden rule is to never . . . ever . . . admit to something you would casually admit to an everyday colleague, such as being behind on your year 7 books, or accidentally missing out an assessment. The hyper-positive careerist sociopath will make it their duty to get you in trouble. 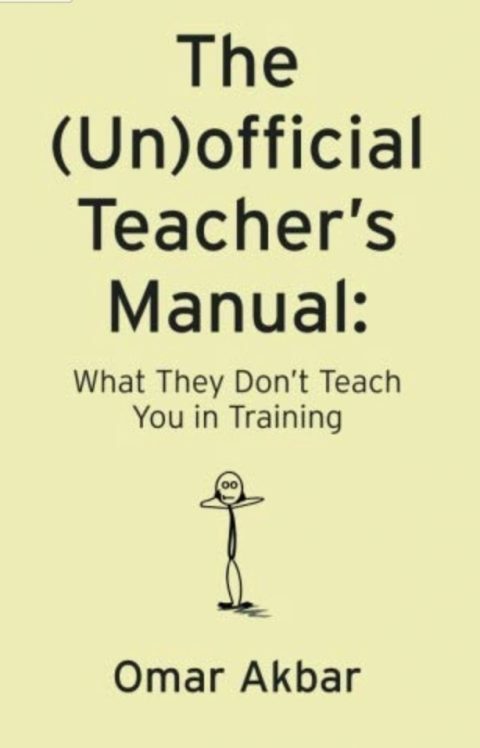 (Lest you draw the wrong conclusion, let me add a disclaimer: There is nothing wrong with wanting to progress in teaching providing it is for the right reasons and done in the right way). So if we avoid the Negative Nancy’s and the Sociopaths, who should we embrace at work? In short, everyone else! By and large, teachers have a lot of personality and a good sense of humour. We are supportive, caring, and we have a genuine interest in the future success of our pupils and we want the best for our colleagues too. But if one were to specifically choose, a good person to befriend is The Badass. The Badass is an excellent teacher (notice how I didn’t use the ever-monopolised term ‘outstanding’? The Badass hates Ofsted terminology) who the kids love, colleagues and leaders respect, and s/he is the go-to for all things teaching. S/he has a good sense of humour, takes initiatives forward when they need to be and if you ever need help s/he’ll be there for youuu, (like they’ve been there before). In short, The Badass is a natural. So why call them badass? Simple: In addition to the above, The Badass will do whatever is in their power to dent the bureaucracy-heavy education system. They won’t stay quiet about the soul-destroying nature of the Look- here’s me proving that I’m doing my job tasks and they will work to change the system. Being an excellent yet rebellious teacher, The Badass can be a Leadership Teams worst nightmare. Previous Previous post: PGCE vs NQT: Which one’s tougher?